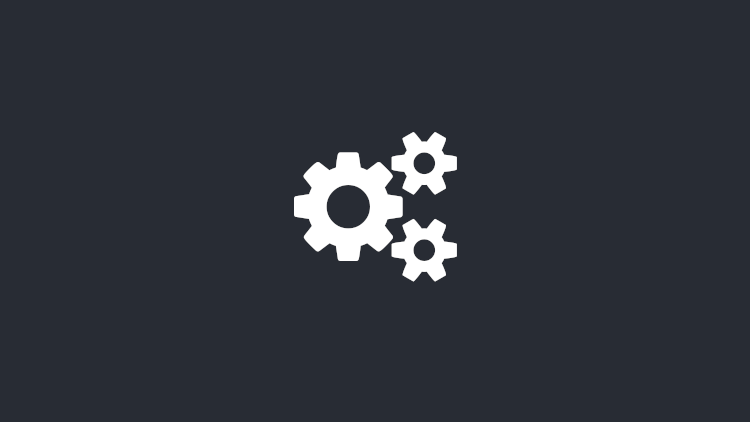 Select the circle tool by clicking the circle button with cursor or write the “c” in the command window and press enter. There are 6 different options to draw the circle which are in the following. 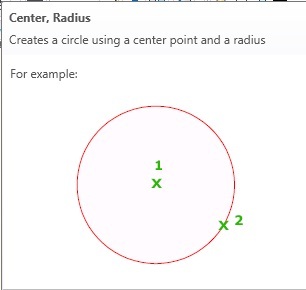 Center, Radius: first select the center radius circle drawing option. 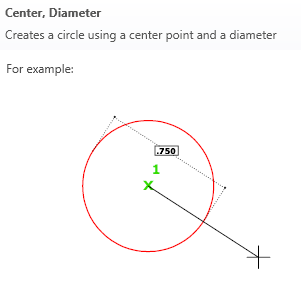 Then select the center of the circle and then put the numerical value of circle radius and press enter button. 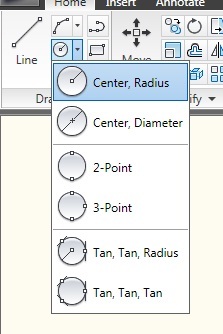 Center, Diameter: first select the center radius circle drawing option. Then select the center of the circle and then put the numerical value of circle diameter and press enter button. 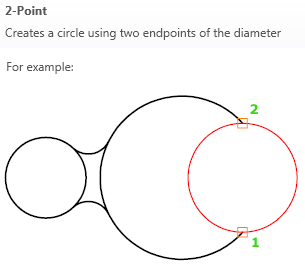 2 Point: This option is used if want to draw a circle that passing through any two points. 3 Point: This option is used if want to draw a circle that passing through or toughing any three points. 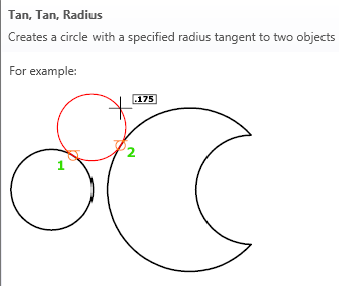 Tan, Tan, Radius: When there is needed to draw a circle at which two already drawn lines are tangent and also needed the value of circle radius, then we use this option. After selecting this option first we select the first line and then select second line. After that put the value of circle radius by using numerical buttons on keyboard and at the end press enter button. 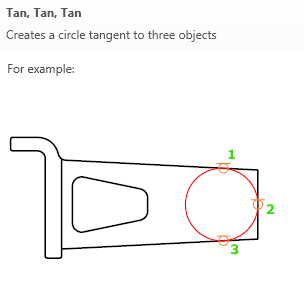 Tan, Tan, Tan: When there is needed to draw a circle at which three already drawn lines are tangent, then we use this option. 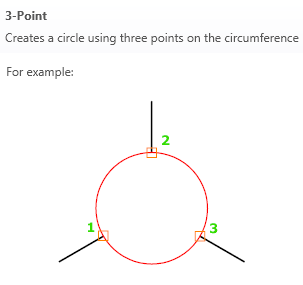 After selecting this option first we select the first, second and third line respectively which you want to make tangent on circle. Just after selecting the third line required circle will appear.